Join us for this fun event on March 11-12, 2016 at the CFCC Schwartz Center! 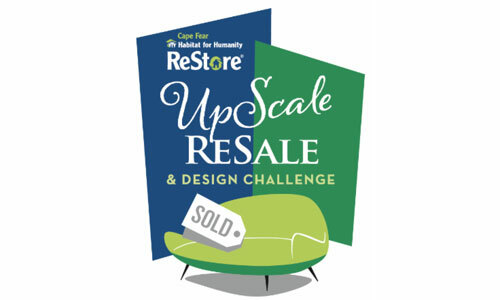 For this third-annual event, local designers will pick up items at the local Cape Fear Habitat ReStores and repurpose them to design a 10×10 vignette. Furniture is reupholstered, dressers are painted, and old tables are transformed! The designer vignettes show the public what can be done with ReStore finds and everything is for sale! Tickets for Friday’s VIP preview party and sale and Saturday’s general admission will go on sale in January! Designers who are interested in participating in this event can contact Katrina at Katrina@capefearhabitat.org.